The Edible Woman is the first novel by Margaret Atwood, published in 1969. It tells the story of a young woman who struggles with society, her fiancé, and food. It is often discussed as an early work of feminism. The protagonist of The Edible Woman is Marian, a young woman with a job in consumer marketing. After she gets engaged, she becomes unable to eat. The book explores Marian’s questions of self-identity and her relationships with others, including her fiancé, her friends, and a man whom she meets through her work. Among the characters is Marian’s roommate, who wants to get pregnant but surprisingly does not want to get married. Margaret Atwood’s layered, somewhat fanciful style in The Edible Woman explores themes of sexual identity and consumerism. The novel’s ideas about consumption work on a symbolic level. Is Marian unable to consume food because she is being consumed by her relationship? Additionally, The Edible Woman examines a woman’s inability to eat side by side with the unhappiness in her relationship, although it was published at a time when the psychology of eating disorders was not commonly discussed. 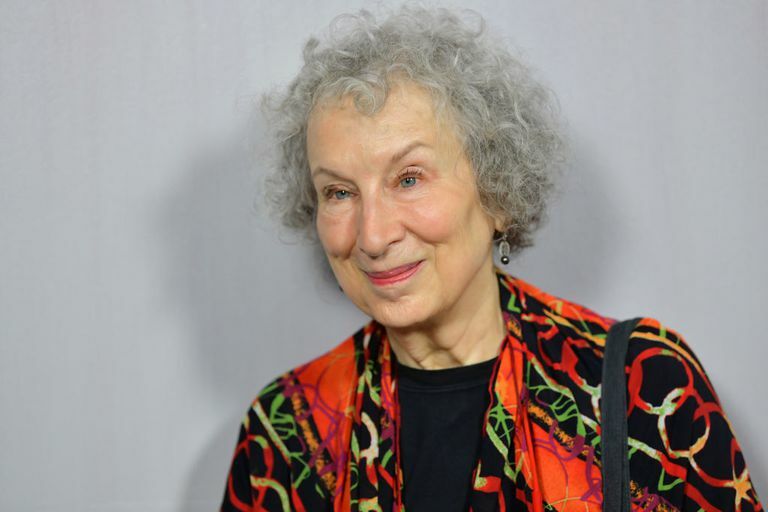 Margaret Atwood has written dozens of books, including The Handmaid’s Tale and The Blind Assassin, which won the Booker Prize. She creates strong protagonists and is known for exploring feminist issues and other questions of contemporary society in unique ways. Margaret Atwood is one of the most prominent Canadian writers and a major figure in contemporary literature. Clara Bates: She is a friend of Marian McAlpin. Quite pregnant with her third child as the book begins, she dropped out of college for her first pregnancy. She represents traditional motherhood and sacrifices for one's children. Marian finds Clara rather boring and believes she needs rescuing. Joe Bates: Clara's husband, a college instructor, who does quite a bit of the work at home. He stands for marriage as a way to protect women. Mrs. Bogue: Marian's department head and a prototypical professional woman. Duncan: Marian's love interest, very different than Peter, Marian's fiancé. He is not particularly attractive, not ambitious, and he pushes Marian to "be real." Marian McAlpin: The protagonist, learning to cope with life and people. Len (Leonard) Shank: A friend of Marian and Clara, a "lecherous skirt-chaser" according to Marian. Ainsley is trying to trick him into fathering her child, but he is the opposite of the married father, Joe Bates. Fish (Fischer) Smythe: Duncan's roommate, who plays a special role near the end in Ainsley's life. Ainsley Tewce: Marian's roommate, the ultra-progressive, aggressive opposite of Clara and, perhaps, also Marian's opposite. She is anti-marriage at first, then switches two different kinds of moral earnestness. Trigger: A late-marrying friend of Peter's. Peter Wollander: Marian's fiancé, a "good catch" who proposes to Marian because it is a sensible thing to do. He wants to mold Marian into his idea of the perfect woman. Woman Down Below: The landlady (and her child) who represents a kind of strict moral code. Marian's relationships are introduced and she introduces people to each other. Peter proposes and Marian accepts, giving over her responsibility to him, though she seems aware that is not her true self. Part 1 is told in Marian's voice. Now with an impersonal narrator of the story, people shift. Marian becomes fascinated with Duncan and begins to have trouble eating food. She also imagines her body parts are disappearing. She bakes a cake-woman for Peter, who refuses to take part in it. Ainsley teachers her how to put on a false smile and a fancy red dress. Marian shifts again, finding herself rooted again in reality and she watches Duncan eat the cake.